US farmers are illegally spraying old formulations of dicamba herbicide on Monsanto’s GM dicamba-tolerant crops and the drifting spray is causing unprecedented damage to other crops. The problem is, as Tom Philpott explains, that Monsanto chose to release Roundup Ready Xtend soybean and cotton seeds this spring, even though the EPA has not yet signed off on a new herbicide product that combines glyphosate and a new dicamba formulation. That was a momentous decision, because the dicamba products currently on the market are highly volatile – they have a tendency to vaporize in the air and drift far away from the land they're applied on, killing other crops. Weed specialist Ford Baldwin called the development “the biggest train wreck agriculture has ever seen”. 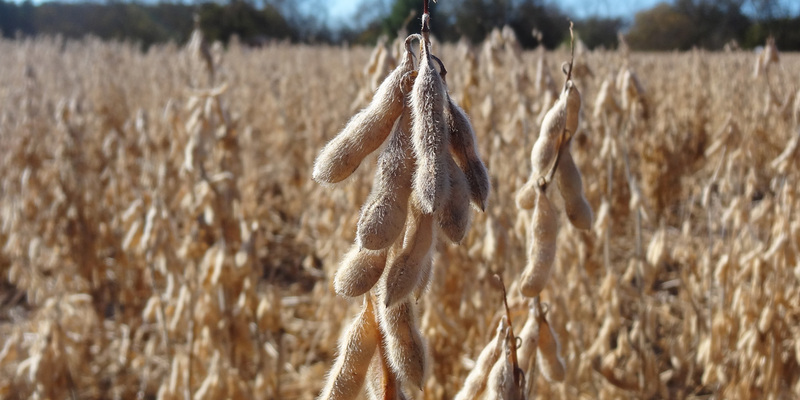 Weed scientists from the University of Arkansas believe that Monsanto’s new reformulated version of dicamba also could damage nearby soybean fields. So if any farmers are permitted to use it on soybeans, other farmers may be forced to buy Monsanto's dicamba-resistant soybean varieties, just to protect themselves. According to Tom Barber, a scientist at the University of Arkansas who studies weeds, that threat is adding to farmers' frustration. "They're afraid that they're not going to be able to grow what they want to grow. They're afraid that they're going to be forced to go with that technology." If farmers do manage to limit dicamba's collateral damage, and start to use it widely, there's new evidence that the chemical may quickly become ineffective. Jason Norsworthy, a weed expert at the University of Arkansas, wanted to see if pigweed could evolve resistance to dicamba. In a greenhouse, he sprayed pigweed plants with light doses of dicamba – not enough to kill most of the plants, but enough to give an advantage to any individual plants that might be slightly resistant to the herbicide. He recovered seeds from surviving plants and repeated the process. After just three generations, he found pigweed plants that were able to survive full-dose sprays of dicamba. Most likely, the same process would occur rather quickly in field conditions, leaving farmers once again desperate for a new solution to their pigweed problem. Syngenta plans to sell 12 genetically modified soybean varieties in the US next year containing Monsanto's dicamba- and glyphosate-tolerant Roundup Ready 2 Xtend (MON88708xMON89788) technology. Monsanto's answer to the problem of insect resistance developing to its Bt insecticidal traits has been to replace its initial single-trait products with more expensive varieties with multiple "stacked" or "pyramided" traits that target pests like the corn rootworm. However, evidence is emerging that stacking traits may not prove an effective defence for long. University entomologists have confirmed resistance in rootworm populations to a Bt toxin found in Bt corn hybrids containing the Duracade trait in Iowa and Minnesota cornfields. They found lower levels of resistance to another type of Bt toxin (the Herculex RW trait), which is contained in SmartStax, AcreMax XTreme and Agrisure 3122 hybrids. These developments serve to provide yet more evidence of the unsustainability of GM Bt insecticidal technology. GM salmon firm AquaBounty has recently purchased a facility on Prince Edward Island, Canada, in order to raise conventional Atlantic salmon to provide eggs that will be transferred to its plant in Bay Fortune. The company also reported that it has started field trials of its AquAdvantage salmon in Brazil and Argentina. Agricultural development experts Brian Dowd-Uribe and Matthew A. Schnurr explain how a pro-GMO myth of superior yield and performance for GM Bt cotton in Burkina Faso was created – and how it imploded (Burkina Faso is phasing out the crop due to the poor quality lint it produces). It seems that the supposed yield advantage for GM Bt cotton over conventional cotton was calculated in a highly questionable way. It’s hard to believe that this claim of a yield advantage made it into peer-reviewed journals – yet it did. Uhuru wa Mbegu za Wakulima (Seeds of Freedom Tanzania) captures the testimonies of farmers whose customary rights to save, share and exchange seeds are threatened by seed laws designed to replace traditional varieties with commercial hybrids, and hand over control to the global seed companies. The people who designed golden rice clearly were unaware of “yellow rice disease”, a factor that will create serious consumer resistance to GMO golden rice if it’s ever ready to deploy, writes Ted Greiner, PhD, former Professor of Nutrition, Hanyang University, Korea. Bayer's Balance GT which offers tolerance to glyphosate and isoxaflutole. GM wheat developed by Monsanto, and never approved by federal regulators, has been found growing in a Washington state farm field, the US Department of Agriculture (USDA) said. The finding poses a risk to US trade with countries concerned about GM food. Several Asian countries temporarily banned US wheat imports after GM wheat was found in a field on an Oregon farm in 2013. South Korea said that it will inspect US wheat imports for GMO contamination. And Japan has deferred wheat purchases until it has a test in place for the unapproved GMO. On 29 July President Obama signed into law a GMO labelling bill that discriminates against more than 100 million Americans. The bill, called by critics the DARK (Denying Americans the Right to Know) Act, allows companies and producers to use QR codes, 1-800 numbers and other difficult to access technology to label food products that contain GMOs, instead of clear, on-package text. By a unanimous vote of its board of directors, the organic farmer-controlled Organic Seed Growers and Trade Association (OSGATA) has withdrawn its membership from the Organic Trade Association (OTA). OSGATA’s decision was prompted by OTA’s duplicity towards organic farmers and consumers when a small number of OTA board members endorsed a Senate bill that will preempt existing strong state GMO labelling laws that are widely supported by the organic community and ninety percent of consumers. David Bronner, CEO of Dr Bronner’s, called the OTA’s action a “betrayal of the movement for mandatory GMO labelling”. In the wake of President Obama signing the DARK Act, which allows companies to hide GMO ingredients behind QR codes or toll-free phone numbers, here’s a useful guide to help Americans know if the foods they buy are GMO. The US Department of Agriculture’s (USDA) Animal and Plant Health Inspection Service (APHIS) has announced a preliminary determination to extend deregulation to GMO Arctic Fuji apples. A new legal opinion, written by two former Justice Department officials from the Antitrust Division, argues that a merger between Bayer and Monsanto would violate the Clayton Act, a law enacted by Congress to curb anticompetitive business practices. The Philippines Supreme Court has reversed its decision of December last year that stopped the field testing of the controversial GM eggplants and issuance of new permits on GMOs. The decision has already led to protests by angry farmers. Despite a current ban on GM crops in agriculture in Switzerland, taxpayer money is being used to develop GM crops in India. Thousands of cotton farmers in India have switched from GM Bt cotton to a non-GMO local variety after whitefly pests and bollworms devastated the GM crop. The Central Information Commission (CIC) has issued show-cause notices to two central government environment ministry officials for not disclosing biosafety information on a GM mustard crop, in violation of an earlier order from the CIC. Monsanto is now embedded in India. It has even been called the "contemporary East India Company" and says GM food is necessary to feed the world's burgeoning population. But India does not need GM to feed itself and no false argument or regulatory delinquency that’s used to force them in can disguise this, writes Colin Todhunter. Consumer and other civil society groups are pressing for major changes in the TTIP agreement’s alarming “innovations” in agriculture and food safety. Emerging fields like biotechnology, synthetic biology, and nanotechnology pose serious risks to human survival. These fields are not only becoming exponentially more powerful, but their products are becoming increasingly accessible to groups and individuals. For example, if biohacking (do-it-yourself genetic engineering) trends continue, terrorists and lone wolves of the future will almost certainly have the ability to engineer pandemics of global proportions, and perhaps even more devastating than anything our species has previously encountered. An increasing number of people – many with no formal biological training – are genetically engineering common microbes in community labs and kitchens, posing potentially serious risks to the environment and human health and raising ethical questions. A US biohacker is touring Australia to encourage members of the public to genetically modify microbes. Trees created with new methods of genetic engineering to be released for the first time in Sweden. Organic farming creates more profit and yields healthier produce. It’s time it played the role it deserves in feeding a rapidly growing world population, writes John Reganold, Regents Professor of Soil Science and Agroecology at the Washington State University. An editor at the journal Food and Chemical Toxicology invited Monsanto scientists to review the Séralini study, which found toxic effects from Monsanto products, reveals an article for the French newspaper Le Monde, based on emails disclosed in a freedom of information request. The journal later retracted the study. 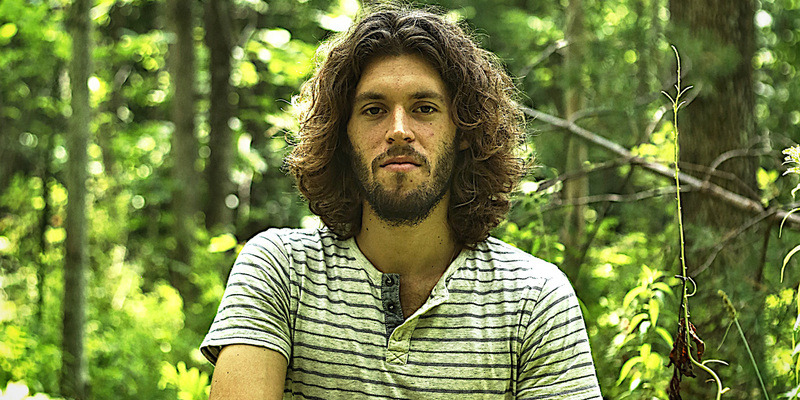 Cornell University, home to the pro-GMO Alliance for Science, appears to be complicit in a shocking amount of ecologically destructive, academically unethical, and scientifically deceitful behaviour, writes Cornell undergraduate Robert Schooler. Perhaps the most potent example is Cornell’s deep ties to industrial GMO agriculture, and the affiliated corporations such as Monsanto. In an article for the New York Times, Robert Faturechi of the public interest newsroom ProPublica emphasises that journalists need to be more skeptical of experts and check out any conflicts of interest before accepting their views as impartial. 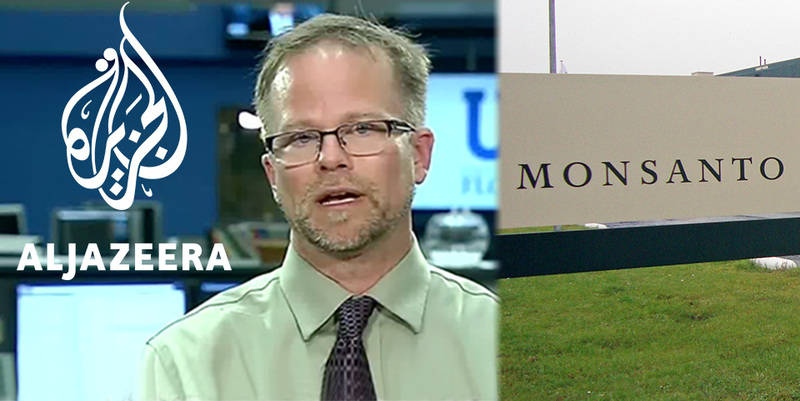 Yet in a pro-GMO article, the news outlet Al Jazeera failed to notice Kevin Folta’s links to Monsanto and presented him as an independent scientist. Would Nobel laureate Richard Feynman have signed that GMO letter? Genetic engineer Belinda Martineau is “pretty sure” that Nobel laureate Richard Feynman, who thought deeply about the responsible application of technology, would not have signed the recent letter in which Nobel laureates urged Greenpeace to end its opposition to GMOs. What is missing in the Nobel laureates’ letter supporting GMO golden rice is the recognition and scientific analysis of some tough facts, write Dr Angelika Hilbeck and Dr Hans Herren in a highly informative analysis. Companies that own patents on golden rice would be willing to make golden rice available at no cost if the countries involved would be willing to adopt US patent regimens to protect other GMO crops, according to two university professors who say they were given this information by an employee of the US State Department. Consumer group US Right to Know filed a lawsuit late Wednesday to compel the University of California, Davis to comply with requests for public records related to the university’s work on genetically engineered food, pesticides and its relationship with the agrichemical industry. The Royal Society is committed to providing unbiased information on scientific issues, writes Steven Druker. But its new guide on GMOs is grossly misleading – glossing over the many dangers inherent to the technology with bland, unsupported re-assurances. The Society must end its partisan promotion of GMOs or risk its reputation as Britain's premier scientific body.